Gail Crouch, age 60 of Paris, TN, died Monday, December 3, 2018, at her residence in Paris, TN. She retired after many years as the owner & operator of Southside Café in Paris. Gail loved cooking, fishing, and gardening. She enjoyed crocheting, playing bingo, and going to yard sales. She was Methodist by belief. Gail was born March 20, 1958, in Paris, TN, to the late Dave Scarborough and Edith Robinson Bomar, who survives, of Paris, TN. She was married August 9, 1975, to James Robert “Jimmy” Crouch, who survives, of Paris, TN. 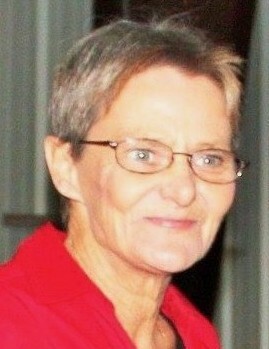 Along with her mother and husband, she is also survived by four daughters, Tara (Ronnie) McDaniel of Buchanan, TN, Amanda Crouch of Paris, TN, Angie Jones of Paris, TN, and Christina (Tommy) Overcast of Puryear, TN; 13 grandchildren, Carrie Hargrove Iida, Kayla (Zach) Bell, Ryan Hargrove, Michael Hargrove, Amanda McDaniel, Taylor Crouch, Octavia Jones, Camryn Jones, Kaylyn Overcast, Dylan Overcast, Mercedes Overcast, Angelina Overcast, and Lillian Barnhart; and two great grandchildren, Greyson McDaniel and Kyzer Perkins. In addition to her father, she was also preceded in death by one sister, Linda Cherry. Arrangements are being handled by Ridgeway Funeral Home, 201 Dunlap St, Paris, TN, where visitation will be Wednesday, December 5, 2018 from 3:00 pm – 6:00 pm, with the funeral service beginning at 6:00 pm at LeDon Chapel of Ridgeway Funeral Home. Family & friends will officiate. Pallbearers will be Richard Crouch, Terry Crouch, Ryan Hargrove, Michael Hargrove, Tommy Overcast, Ronnie McDaniel, and Billy Ray Page. Named as honorary pallbearers are all employees of Southside Café. The body is to be cremated following the service.